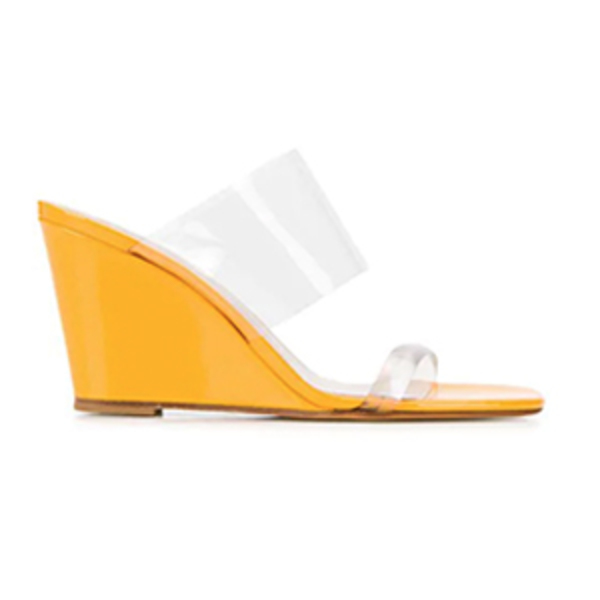 High wedges with two clear perspex bands. 8cm heel. Fits true to size.